Find all waterfront homes for sale in Southern New Hampshire from luxury condos to beautiful single family homes. Discover listings in Hampstead, Atkinson, Derry, and surrounding towns. 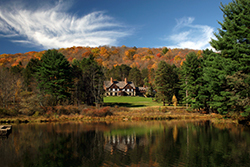 You may also be interested in viewing Southern New Hampshire water view homes for sale. I have a question about the property at 51 Little River Road Kingston NH 03848 (#4684343). I would like to schedule a visit for the property at 51 Little River Road Kingston NH 03848 (#4684343). I have a question about the property at 29 Ells Road Hampstead NH 03841 (#4642061). I would like to schedule a visit for the property at 29 Ells Road Hampstead NH 03841 (#4642061).